John Maletta, age 86, originally of Clarkdale, Iowa, passed away peacefully surrounded by his family on Friday, September 14, 2018 in St. Louis Park, Minnesota. He was born on July 17, 1932 in Clarkdale, joined the military and married Midori (Otsuki) Maletta, on March 9, 1953. After military life, they decided to settle in Bellevue, Nebraska, a small town near Offutt Air Force base outside of Omaha. John was very proud of his 20-year military service, served in the Korean War, and continued to serve the military as a computer analyst consultant after his discharge. In addition, he worked as a civil servant with the Social Security Administration. He received numerous awards of distinction over the years for his military and civil service roles. He was a member and supporter of the Knights of Columbus, involved in volunteer work for the Bellevue Public Schools. He enjoyed his bowling leagues, fishing, traveling with friends and visiting family members. He especially loved spending time with family, and helping others in need. John was generous, kind, and was known for having a great sense of humor. He is survived by his children Robert Maletta (Anouk Delafortrie), Becky Sippel (Allen), and William Maletta; his grandsons, Scott Sippel and Ian Maletta; his sisters, Barbara Owens, Maryann McCloskey, Patricia Roe, Iva Doggett, Loretta Dykes; brothers, Jack Shepard and Richard Shepard. 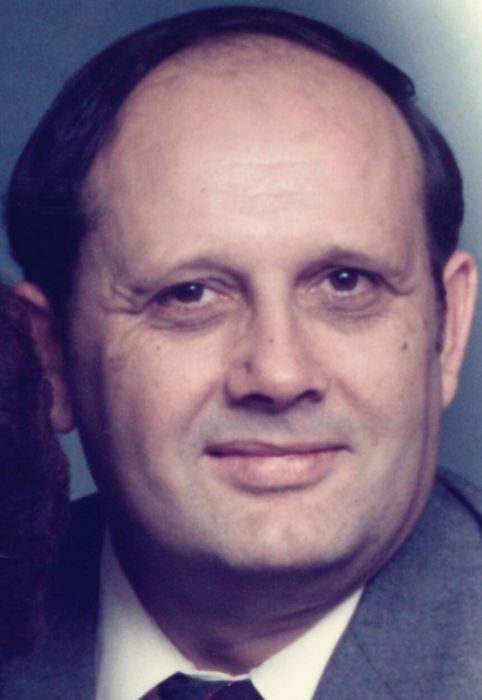 John was preceded in death by his parents, Mike and Victoria Maletta; his wife, Midori; sisters, Connie Plum, Faire Mae Tate; and a brother, Wesley Shepard. Funeral services will be held at 1 PM, Saturday, September 22, 2018 at Lange Funeral Home and Crematory in Centerville, with Father Bill Hubmann officiating. Burial will follow in the Oakland Cemetery, Centerville. A visitation will take place on Saturday, September 22, 2018 at Lange Funeral Home in Centerville, with the family greeting friends from 11 AM-1 PM. A memorial has been established to the Alzheimer’s Association and may be mailed to Lange Funeral Home and Crematory, 1900 S. 18th St., Centerville, Iowa, 52544. Condolences may be shared online at www.langefh.com.